HOUSTON — January is National Mentoring Month, an annual opportunity to highlight mentoring as a critical component in the lives of young people. In recognition, the Houston Health Department is featuring a mentoring success story through its partnership with the Greater Houston Mentoring Alliance. 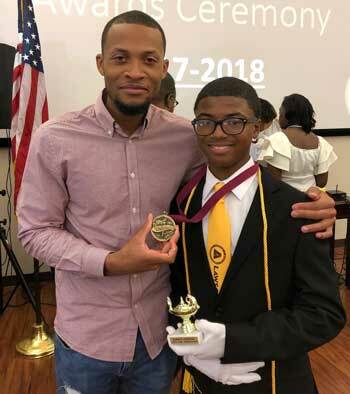 When Kam’rin Christal learned about his elementary school’s mentoring program, he immediately knew he wanted to be involved. He was in fourth grade and only about two years removed from the death of his father. Organizations or individuals interested in learning more about the alliance or mentoring opportunities are encouraged to visit GreaterHoustonMentoringAlliance.com.